We’re expanding our political program – become a District Captain! It is vital that our colleagues and fellow members are involved in our legislative activities and political priorities for them to succeed. Without the engagement, input and support of our members, our political and legislative strength are compromised, making our ability to advocate for the legislation that will make a difference in our careers and lives more difficult. So here is the question: Will you help influence policy and legislation that affects your career, your colleagues, your neighbors and your family? Over the last few weeks, some of you have heard from me about a brand new initiative in our political portfolio – District Captains. This title is given to people who show an interest and appreciation for the importance of being involved with politics, campaigns and legislation – either at the ballot box or by involving themselves in campaigns – and makes them a “first call,” “go-to” musician when 802 has a political action or concern in the area. Our Captains could be helping us campaign on the street, meeting our elected officials and explaining why a particular issue impacts the lives, careers and families of musicians, or simply ensuring that our colleagues know when an election is coming up. While District Captain status may seem to be yet one more commitment for people who already have too much to do, I can assure you that it isn’t. Serving as a District Captain is entirely voluntary and does not commit you to standing meetings, activities or work. Instead, it is a distinction that reflects your interest in the legislative work and political activities we undertake to strengthen the arts and the careers of musicians throughout the city and county. If you are interested in becoming a District Captain, please call or e-mail me. I’m a resource and advocate for the musicians and performers across New York State who are working to ensure that NYC and the surrounding area remain the cultural capital of the world. 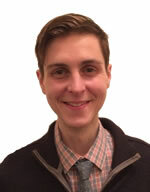 Christopher Carroll is Local 802’s political and communications director. Contact him at (212) 245-4802, ext. 176. Q: What does a District Captain do? District Captains are the pool of musicians who serve as a first call when support for Local 802 political activity is needed. This can include meeting council members, assembly members, senators and U.S. representatives; attending rallies in the neighborhood; volunteering and helping candidates who support the arts. There is no requirement, beyond that you are willing to take our call and consider supporting our efforts! Elected officials want to hear directly from you, and an active community of musicians will strengthen our voice and role in local, state and federal legislation. A: Contact Christopher Carroll at (212) 245-4802, ext. 176.